Lucknow, Dec 15: The Uttar Pradesh government has decided to exempt LED bulbs from value added tax (VAT), an official said on Tuesday. 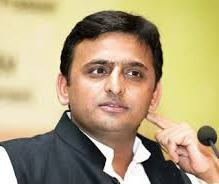 Pointing out that use of LED bulbs was a good way to minimise power demand and consumption, Chief Minister Akhilesh Yadav has instructed concerned departments to roll out the exemption soon, the official told IANS. “Very soon LED bulbs will be out of the VAT net,” a state government spokesman said. The state government has been distributing LED bulbs free of cost, through special camps, to people of the state. Aiming to reduce pressure on conventional power sources, Uttar Pradesh has been promoting the use of LED bulbs and solar energy.